Maintaining your roof system can be a simple process, so long as you stay “on-top” of it. Here are some helpful tips of what homeowners can do to keep their roof in shape, as well as what to look for when it’s time to call in a professional . Keeping your gutters and downspouts clear is extremely important for the health of your roof. To check if your gutters are clear, try running a hose through them to make sure the flow is good. It is important to make sure the gutters haven’t been blocked by leaves, children’s escaped toys, or even small animals creating a backup. Homeowners should never climb onto their roof – that’s what the professionals are for. Have a skilled technician perform an annual inspection to determine the roofs overall condition and identify issues they may see being a problem in the future. This is what they do, all day, every day. They know exactly what to look for to keep your roof system working at its best. Having proper ventilation is an integral part of your roofing system and has an important role in extending the life of your roof. Many times shingles that are cracked or curled could be signs of poor ventilation. Air flow is an issue that can usually be solved without needing to replace the entire roof. A big indicator for leaks is discoloration on the wood in your attic. It’s important for homeowners to identify any issues as soon as they are discovered. Leaks should be taken care of before the winter months. Make an appointment with a technician to come out right away if you see a leak to help avoid further damage to your home. About once a month homeowners should do a visual inspection of the roof from the ground. Stand as far back as necessary to help give you a better view of your roof. Look for any major debris or defects that are visible from the ground. Do an alignment test by stepping up to where the plane of the roof lines up with your line of sight. 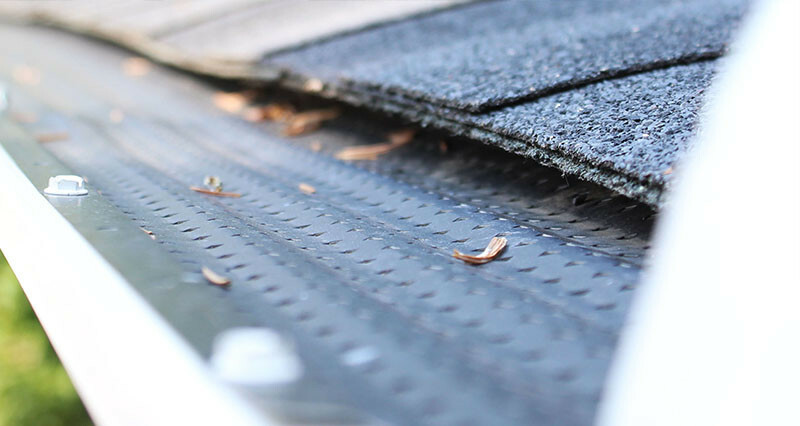 Call a professional if you spot any buckled or curled shingles, or any lifted flashing. A&D Exteriors is happy to provide our neighbors with maintenance packages, starting as low as $99, to help prevent a small problem from becoming a big issue. Schedule an appointment today to have an expert come out to assess your roof and make sure your home is properly equipped to protect you from leaks.